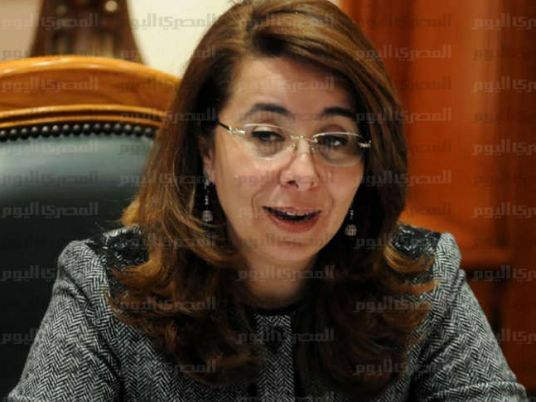 For the first time in Egypt, monetary support will be provided to people with disabilities, said Social Solidarity Minister Ghada Wali during the second day of the 4th Youth Conference, held in Alexandria. During the economic reform session of the conference on Tuesday, attended by President Abdel Fattah al-Sisi, Wali said that a program called ‘Forsa’ (translation: ‘Opportunity’) has been launched in Upper Egypt to provide job opportunities for youth in different fields, in cooperation with the Ministry of Commerce and Industry and NGOs. The program will benefit 250,000 unemployed young people, according to Wali. The Solidarity Ministry has prepared a database for about 18 million poor people so far, through the Takaful and Karama social safety program, which covers the country’s poorest families, Wali mentioned. The program focuses mainly on the poorest areas of Upper Egypt. The Takaful and Karama program, active in Egypt’s 27 governorates, aims to benefit 500,000 families per year, over 3 years. The Finance Ministry funded 100 percent of the first batch of financial aid provided through the Takaful and Karama program in March 2015. Egypt also requested the support of international organizations, which now fund 15 percent of the program program, according to Wali. There are currently 1,739,000 citizens registered with the program, the minister said. Governorates where the rate of poverty exceeds 60 percent include Sohag, Assiut, Giza, Minya, Beni Suef, Qena, Luxor, Fayoum, Aswan, Cairo, Beheira, and Sharqiya. According to Wali, beneficiaries of the Takaful and Karama program received so far LE8 billion. The database of social insurance includes 17 million insured citizens and 9 million pensioners. The minister pointed out that 273,000 divorced women are registered as well with the ministry’s database, and receive financial support.